Stop dragging hoses around the yard and keep your lawn gorgeous all season long with energy saving techniques used in our irrigation systems! Proper watering ensures landscaping and lawns meet their full potential, but the benefits of a properly irrigated property are much more than meets the eye. Efficient watering systems save water, time and money by eliminating overwatering; and add to overall home value. We can install a system that senses rain and moisture, and automatically waters only when necessary, saving water, money and our environment. 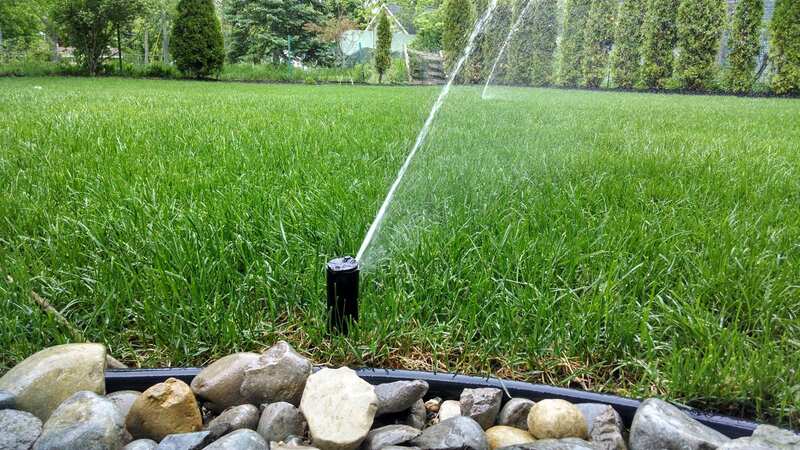 Our experienced technicians can install and service all types and brands of irrigation systems from small residential lots to large commercial ventures and can make upgrades to meet any irrigation desires. Seasonal Services: Don’t forget to trust us to perform an irrigation blowout to winterize your system in the fall to ensure that you avoid costly and hassling repairs in the spring. In the springtime, we can perform a startup to ensure that all your irrigation system is operating to its fullest potential.